NULU Business Association Members discounted ticket. 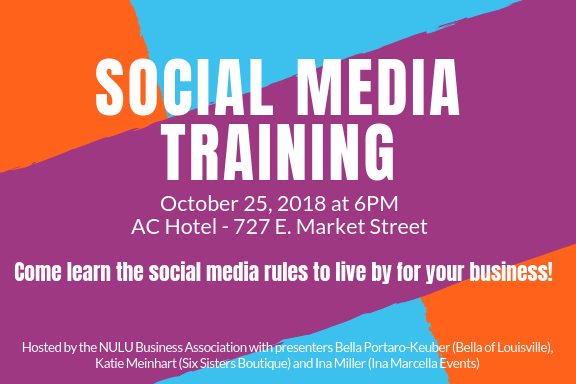 Hands-on social media training for your business. Learn tricks, tips and rules to live by when it comes to social media. Real-life takeaways, apps to use, and goodie bags for all attendees.